To download care and maintenance information, click here. Enduro Shield is a coating that permanently bonds to the surface, and protects it against dirt grime and soap scum, it also protects the surface from staining, etching and discoloration. Enduro Shield repels both water and oil leaving the surface easy to clean, much like a non-stick frying pan. The coating is also completely invisible and does not change the look or finish of the surface. This means less cleaning for you, and less effort! And the surface will not deteriorate over its life as untreated surfaces do. Also, you don’t have to purchase special cleaners to maintain or extend the life of this product. Enduro Shield saves you time and money, and keeps it looking as good as the day it was treated! 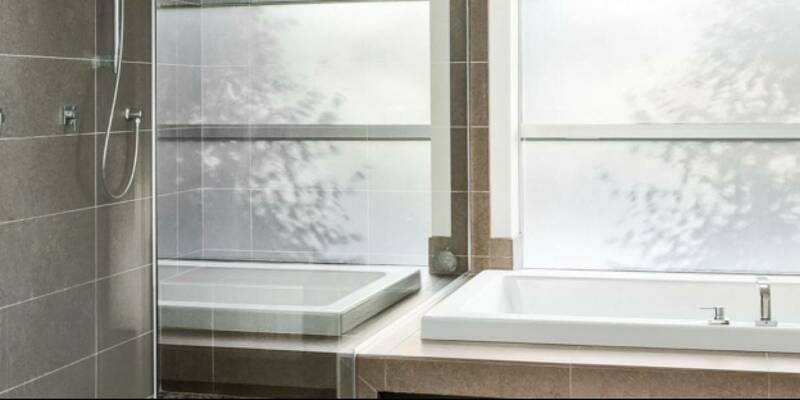 To keep your glass shower door looking new, the glass needs to be cleaned each week using a damp microfiber cloth and a mild detergent to remove any soap scum, dirt or grime from the glass. For outdoor glass surfaces such as railings and windows, clean as required using water and a mild detergent (such as mild dishwashing liquid). Wash the glass with a microfiber cloth, and dry with a good quality squeegee. Alternatively, clean with a window cleaner and a cloth. For best results, clean the glass in the shade to prevent streaking. Be careful not to use any rough, gritty, highly acidic, alkaline, or abrasive cleaners such as Comet (powder), Ajax or cerium oxide as they may damage the protective coating. Cleaners like this damage or polish back the actual substrate of the surface. Although these cleaners can be used, Enduro Shield is designed to be an ‘Easy Clean Coating’ that requires only mild soaps that do not contain harsh or toxic chemicals to maintain the surface effectively. It should be noted that with any cleaner used on the Enduro Shield surface a thorough rinse with clean water should follow immediately. For areas with hard water or bore water, due to a higher concentrate of mineral deposits such as lime and calcium, a build-up may occur on the protective coating and may not be easily removed with mild detergent. A solution of white vinegar and water (1part vinegar to 5 parts water) should be sprayed onto the glass and allowed to soak for several minutes. This will dissolve any mineral deposits that have built up on the glass surface. A damp microfiber cloth should them be used to wipe over the glass. If I don’t clean my Enduro Shield® treated shower after use, will there be water spots? Water repellent coatings will cause water to bead up into tall, distinct drops, similar to a freshly waxed car. The amount of drops left on the glass is dependent on the size of the drops themselves. Most often the top of the enclosure that has a fine mist spraying from one’s shoulders will have many very small drops, whereas on the bottom sections of the glass the majority of the water will fall off in thin, snaky lines, and a few water drops can be left behind. Cleaning these drops from Enduro Shield treated glass can be done by simply using a good quality squeegee or microfiber cloth after a shower. If the glass is not cleaned, minerals and soap scum can dry and bond to themselves, which because of the coating will wipe off easily. This product is warrantied for 10 years when applied prior to use of the shower glass. This product is warrantied for 2 years when applied after use of the shower glass. Call, Email, or Stop By. We can help.